Can You Stop Cravings Naturally? When Will I Stop Craving Crack? Crack cocaine addiction is one of the toughest substance addictions to beat. But that doesn’t mean it’s impossible. The secret is in knowing how to fight crack cravings and prevent relapse as well as where to find help. Crack cocaine cravings are experienced on both a physical and a psychological level. The onset of unpleasant crack withdrawal symptoms often spurs those struggling with crack addiction to use again and again. This is why it’s important to know what to expect about cravings – the signs, symptoms, onset, and duration – and to be prepared. Preparation greatly aids in preventing relapse. Crack cocaine addictions develop and are reinforced both psychologically and physically. So it’s not surprising that cravings can be felt “in the head” as well as throughout the body. Psychological cravings of crack cocaine involve the mental and emotional symptoms of quitting. These can be so unpleasant that they create a strong desire to use again. Obsessive thoughts about crack cocaine. Strong physical cravings for crack cocaine, similar to hunger pangs. Multiple treatment therapies are available for treating crack cocaine addiction. From new and hopeful research on pharmaceutical approaches to psychotherapy and meditation, something is available for everyone. Avoidance of trigger situations – CBT helps you become aware of situations that trigger cravings and potential relapse and how to avoid them. This elementary CBT approach empowers you with self-awareness and keeps you in control of your recovery. Talking it out with friends, family, a sponsor and/or a counselor – A sober support network prevents isolation, increases accountability and allows the opportunity to talk about cravings. This helps relieve the anxiety associated with cravings and withdrawal. Some programs award prizes or vouchers for staying off drugs. 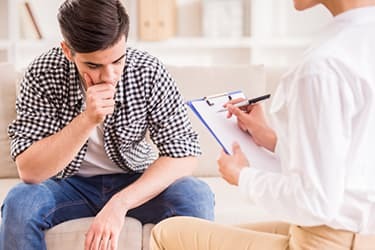 Behavioral therapy strategies, such as contingency management or motivational incentives, have also shown great promise in fighting cravings. Contingency management is a new approach that some programs are implementing. A voucher or prize-based system is used. For instance, a clean urine sample earns a prize or voucher for a free dinner or a gym membership. The point is to reward the clean and sober behavior and encourage healthier behaviors. Balcofen – A muscle relaxer that causes a reduction in dopamine release and, therefore, could prevent crack cocaine-induced euphoria. Disulfiram – Marketed as Antabuse and primarily used to treat alcoholism, Disulfiram decreases euphoria but increases the anxiety associated with crack cocaine use – preventing the desire to use again. It shows the most promise and greatest reduction in crack cocaine cravings and relapse. Modafinil – Modafinil strengthens glutamate-neurotransmission and could reduce relapse because cocaine abusers experience an extreme depletion of glutamate, which results in continued cravings/use. It has also been shown to reduce euphoria induced by cocaine use. Tiagabine – A GABA blocker used to treat seizures that has shown success in relapse reduction in recent studies. Topiramate – Topiramate is also showing success in relapse reduction because it increases GABA-neurotransmission and inhibits glutamate-neurotransmission. Who Answers? today to talk to a treatment support specialist about recovery programs for crack addiction and cravings. While numerous articles online suggest herbal remedies and natural cures for crack cravings, no hard research exists to support herbal or natural cures. That does not mean there are no natural alternatives to proven or promising medical treatments. But it is a cautionary statement. Physicians can administer medications to ease withdrawal symptoms. You might experience sugar cravings while undergoing detox from crack cocaine because your body has been deprived of food during active crack addiction. This leads to decreased blood sugar levels along with caloric intake. As such, the body craves the quickest means of replenishing both. With regard to strong cravings as well as some of the more serious withdrawal developments, such as severe depression and associated suicidal ideation, it is important for some to seek medically supervised detox from crack cocaine. Simply stopping use without professional help can be not only extremely difficult, but also potentially deadly. The FDA has not approved medication for crack cocaine detox, but a physician can administer medications to ease the withdrawal symptoms. The full duration of crack cravings varies from person to person. However, the characteristics of the cravings may change, increase and decrease over time. 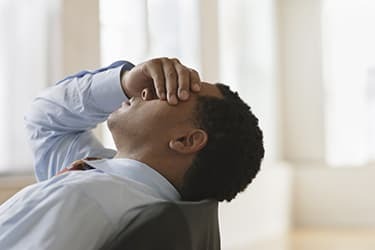 First phase – The initial onset of symptoms, which typically does not involve crack cravings, includes irritability, exhaustion, increased appetite, and anxiety. This first phase, also known as “the crash,” typically begins within a few hours after cessation of use and lasts a few days. Second phase – The second phase of symptoms generally begins within one week after cessation of use and includes strong cravings, irritability, poor concentration, and lethargy or psychomotor retardation. This craving or withdrawal phase typically lasts up to 10 weeks. Third phase – The third and final phase of cravings or withdrawal symptoms, also known as “extinction,” includes intermittent cravings typically associated with external cues (i.e., seeing an old drug dealer, hanging out with other users, etc.). This craving or withdrawal phase typically lasts up to 28 weeks 1. Relapse often begins in the mind. Constant or obsessive thoughts about crack cocaine use can lead to relapse. Exposure to environmental cues, or triggers, can also cause these thoughts to develop and, consequently, lead you to seek out and take the drug even after time away from it. These cues may include friends you formerly used crack with, places where you used to do crack, personal situations and issues you used to associate with crack, and even songs you associated with the drug. Obsessive thoughts about crack cocaine use. Rationalizing involving yourself in high-risk situations, i.e., meeting up with active crack cocaine addicts/users, reconnecting with a drug dealer, dating an addict, or visiting a place where crack is/was commonly used. Refusing or resisting new, healthier coping skills. Attend weekly recovery meetings at 12-step programs, such as Narcotics Anonymous or Cocaine Anonymous. Find a sponsor through a 12-step program whom you can call if you are experiencing a craving. Seek individual or group counseling, where you can receive support and learn coping skills. Avoid external cues or people and areas with/where crack cocaine was used (i.e., bars, empty warehouses, dealers’ homes, etc.). Become involved in recovery communities, sober activities and events. Additionally, stay informed about recovery programs and events offered in your community and new or upcoming research regarding relapse prevention. Keep in mind that medical researchers and addiction professionals are constantly working to create safer and more effective means of recovery and relapse prevention. If you are currently using crack cocaine and need help to quit, have relapsed, or are experiencing relapse thinking and need help to prevent relapse, call our toll-free helpline right now at 1-888-319-2606 Who Answers? .
. Baker, A., Lee, N.K. & Jenner, L. (Eds) (2004). Models of Intervention and Care for Psychostimulant Users, 2nd Edition. In National Drug Strategy Monograph Series No. 51. Retrieved December 24, 2005 from http://www.health.gov.au/internet/main/publishing.nsf/Content/health-pubhlth-publicat-document-mono51-cnt.htm.
. National Institute on Drug Abuse. (2010). What Treatments Are Effective for Cocaine Abusers. In Cocaine: Research Report Series. Retrieved December 23, 2015, from http://www.drugabuse.gov/publications/research-reports/cocaine/what-treatments-are-effective-cocaine-abusers.
. AM, Washton. (1988). Preventing Relapse to Cocaine. In Journal of Clinical Psychiatry. Retrieved December 23, 2015, from http://www.ncbi.nlm.nih.gov/pubmed/3257487[DW9].
. Carroll, Kathleen M. (n.d.). Cognitive-Behavioral Therapy: An Overview. In A Cognitive-Behavioral Approach: Treating Cocaine Addiction. Retrieved December 23, 2015, from http://archives.drugabuse.gov/TXManuals/CBT/CBT3.html.
. Carroll, Kathleen M. (n.d.). Topic 1: Coping with Craving. In A Cognitive-Behavioral Approach: Treating Cocaine Addiction. Retrieved December 23, 2015, from http://archives.drugabuse.gov/TXManuals/CBT/CBT8.html.
. Avena, Nicole M., Rada, Pedro and Hoebel, Bartley G. (2008). Evidence for Sugar Addiction: Behavioral and Neurochemical Effects of Intermittent, Excessive Sugar Intake. In Neuroscience Biobehavioral Review. Retrieved December 23, 2015, from http://www.ncbi.nlm.nih.gov/pmc/articles/PMC2235907/.
. Wilson, Lawrence. (2013). Addiction. In The Center for Development. Retrieved December 23, 2015, from http://www.drlwilson.com/articles/addiction.htm.
. National Institute on Drug Abuse. (2012). Types of Treatment Programs. In Principles of Drug Addiction Treatment: A Research-Based Guide, 3rd Edition. Retrieved December 23, 2015, from http://www.drugabuse.gov/publications/principles-drug-addiction-treatment-research-based-guide-third-edition/drug-addiction-treatment-in-united-states/types-treatment-programs.
. National Institute on Drug Abuse. (2013). How Do 12-Step or Similar Recovery Programs Fit Into Addiction Treatment? In Seeking Drug Abuse Treatment: Know What to Ask. Retrieved December 23, 2015, from http://www.drugabuse.gov/publications/seeking-drug-abuse-treatment/5-how-do-12-step-or-similar-recovery-programs-fit-drug-addiction-treatment.
. Polcin, Douglas L., Korcha, Rachael, Bond, Jason, Galloway, Gantt. (2010). What Did We Learn from Our Study on Sober Living Houses and Where Do We Go from Here? In Journal of Psychoactive Drugs, Author Manuscript. Retrieved December 23, 2015, from http://www.ncbi.nlm.nih.gov/pmc/articles/PMC3057870/.
. University of Michigan. (2015). Collegiate Recovery Program. In Student Life University Health Service, University of Michigan. Retrieved December 23, 2015, from https://www.uhs.umich.edu/recovery.
. Kampman, Kyle M. (2005). New Medications for the Treatment of Cocaine Dependence. In Psychiatry, MMC. Retrieved December 23, 2015, from http://www.ncbi.nlm.nih.gov/pmc/articles/PMC2994240/.
. Berger, Fred K. (2014). Diet and Substance Use Recovery. In Medical Encyclopedia, U.S. National Library of Medicine. Retrieved December 23, 2015, from https://www.nlm.nih.gov/medlineplus/ency/article/002149.htm.
. Freimuth, Marilyn, Moniz, Sandy and Kim, Shari R. (2011). Clarifying Exercise Addiction: Differential Diagnosis, Co-Occurring Disorders and Phases of Addiction. In International Journal of Environmental Research and Public Health. Retrieved December 23, 2015, from http://www.ncbi.nlm.nih.gov/pmc/articles/PMC3210598/.